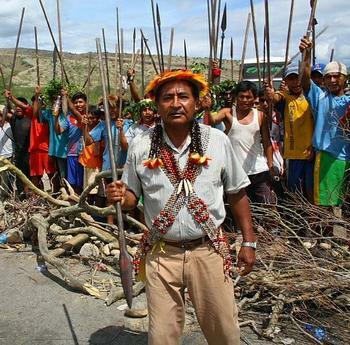 Accounts from Peruvian media sources indicate that loggers and miners from Ecuador are illegally exploiting Awajún natural resources in the frontier region known as the Cordillera del Cóndor. This is likely to lead to a violent confrontation unless the Peruvian government takes immediate action. Because the invading miners and loggers are from Ecuador, the Peruvian press has given this situation significantly more attention than it devotes to illegal use of these same resources by Peruvians. On a more uplifting note, a story about Awajún students enthusiastically applying for fellowships for post-secondary education recently ran in Horizonte Perú, a publication of the Archdiocese of Chachapoyas. 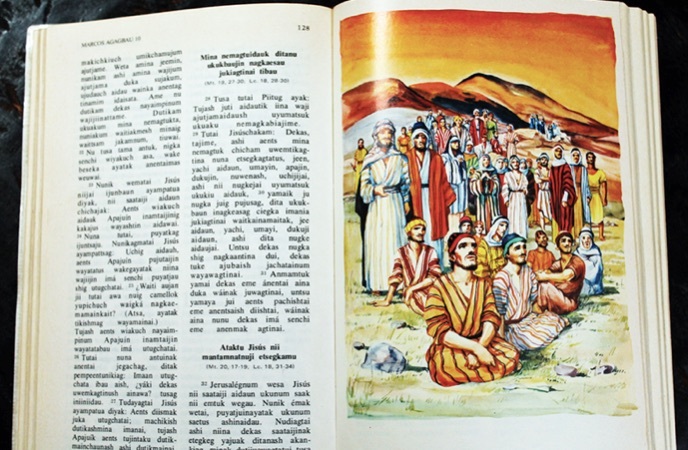 Sample page from 1973 SIL translation of bible (mostly the New Testament) ,Yamajam Chicham Apu Jisukristu Pachisa Etsegbau,. “Growing old ain’t for sissies” is an adage one hears a lot from the AARP set, a group to which everyone over 50 automatically belongs, One unsettling aspect of working in a discipline for decades is that some truths once regarded as self-evident reveal themselves to have been misguided or false. Depending on the situation, this reversal of fortune may be discouraging or uplifting. But for anyone committed to reality-based understanding, unexpected outcomes can be of great interest. They are also humbling. 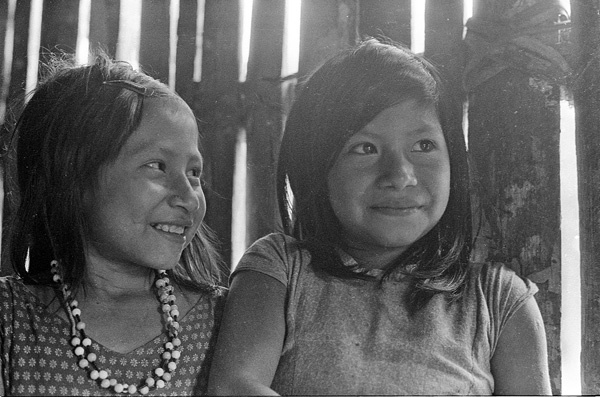 An anthropological assumption that now looks less tenable than it did in the 1970s and -80s concerns the impact of evangelical missionary work on the indigenous peoples of Latin America. Arguably the largest and most successful Protestant missionary organization of this period was the Wycliffe Bible Translators, whose sister organization, the Summer Institute of Linguistics (now SIL International), sent trained linguist-missionaries to scores of remote indigenous communities for the express purpose of creating an alphabet for previously unwritten languages, providing literacy training, and using this understanding of the local language to translate, print, and distribute bibles. WBT and SIL were once two faces of the same organization. As far as one can tell from their websites, they now appear to have taken divergent paths, with SIL International focusing on language documentation and preservation (although it continues to describe itself as “faith-based”), whereas Wycliffe retains its explicitly evangelical mission. In the 1980s SIL was controversial for several reasons. Critics felt that the imposition of Western, Christian ideologies on vulnerable indigenous peoples represented a form of cultural imperialism, which it surely was. The U.S. origin of the SIL and the organization’s sophisticated infrastructure of radio communications and air transport in remote parts of the Amazon inevitably raised suspicions that it was a covert arm of US intelligence. More broadly, aggressive proselytizing by a minority religion in overwhelmingly Roman Catholic Latin America was considered a threat to the region’s national cultures. In these contexts SIL downplayed its link to WBT in ways that critics found deceptive. These factors led several Latin American nations to expel the SIL, although it continued its work in Peru by muting its religious commitments and providing invaluable services to a Ministry of Education grappling with the challenge of providing bilingual teaching materials to children in Peru’s jungle villages. Two books helped to frame anthropologists’ overwhelmingly negative view of American missionary work in the Amazon: Søren Hvalkof and Peter Aaby’s Is God an American? (1982) and David Stoll’s Fishers of Men or Founders of Empire? (1983). Both have a polemical tone in places, but they also provide detailed historical and ethnographic information on the impact of American evangelical missionaries on a diverse set of indigenous communities. Neither book may have influenced popular opinion about American missionaries as much as the late Peter Matthiessen’s novel At Play in the Fields of the Lord (1965), which was brought to the screen in 1991 by director Hector Babenco. 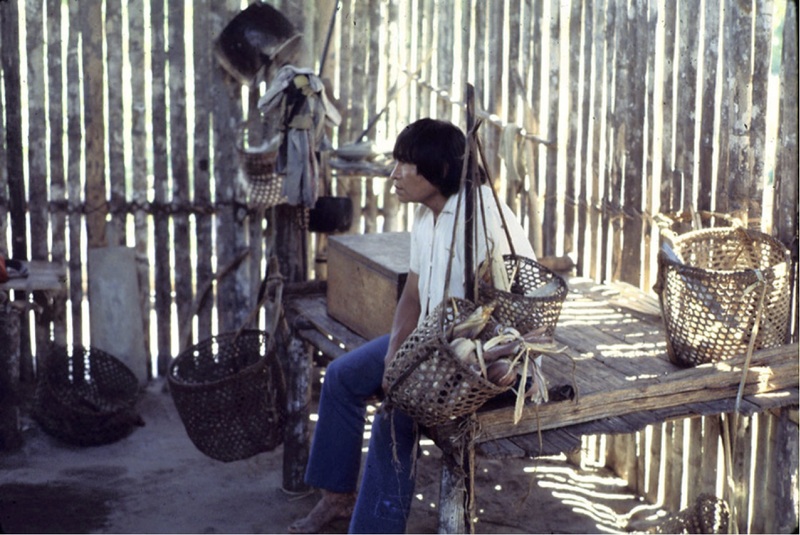 I shared some of those negative views when working with the Awajún in the 1970s and -80s despite my minimal contact with American missionaries in the field. In the years since then, however, circumstances have made my prejudices look simplistic and in some cases misplaced. For one thing, the work of the SIL brought literacy and bilingualism to the Awajún much earlier and faster than would have been the case had SIL not been there. The Awajún have embraced literacy with great enthusiasm and today have one of the highest literacy rates of any Amazonian community in Peru. 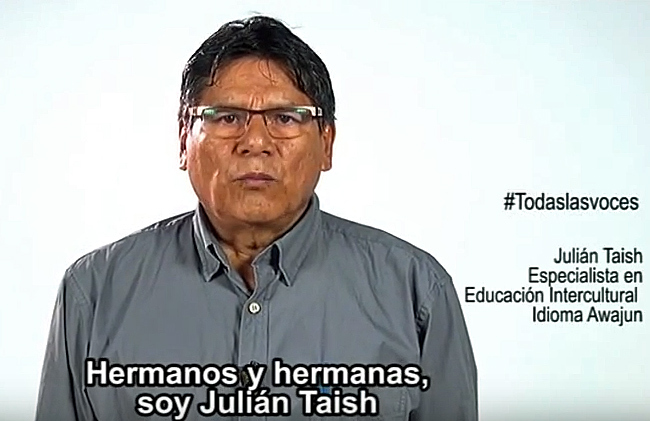 Literacy in the Awajún language, which might not have been promoted by the Peruvian government if it had been in control of Awajún education in the early years, is now a significant factor in Awajún cultural survival and political mobilization. 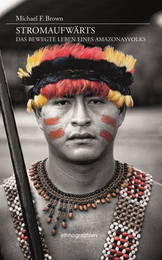 A more subtle effect of Awajún contact with American missionaries is the sense of cultural separateness—the idea that the Awajún are technically Peruvians but have their own distinct identity and destiny. I can’t prove that this was explicitly promoted by the SIL, but it seems like a probable result of long involvement with powerful outsiders who thought of themselves as distant from Peruvian national culture and values. It’s true that evangelical missionary work had negative consequences as well. For a time it promoted factionalism between traditionalists as well as converts to Roman Catholicism. It caused many Awajún to abandon traditional rituals and related cultural expressions, including the search for visions by young people. As I report in Upriver, this reflected a genuine desire of some Awajún to break out of the cycle of revenge killings with which the vision quest was strongly associated. But in the years since those early missionary contacts, more sophisticated Awajún are starting to return to the visionary language and practices of their ancestors while focusing more on the constructive, life-affirming possibilities of ayahuasca visions. A few are even converting to the Baha’i faith on the grounds that it is more ecumenical than Christianity and therefore more open to the Awajún’s own cultural traditions. Thoughtful Awajún intellectuals recognize the positive as well as the negative impact of the missionary work of Protestants and Roman Catholics in Awajún country. They value the literacy and bilingualism promoted by both groups, as well as the global contacts that involvement with missionaries promoted. At the same time, they are critical of the paternalism of missionary organizations and their past reluctance to fight for Awajún civil rights and political self-determination. Thomas Hobbes wrote that “science is the knowledge of consequences, and dependence of one fact upon another.” In my case, growing recognition that things often turn out differently than expected, both in good ways and bad, has made me more wary of the sanctimony and moral certainty that pervades the discourse of cultural anthropology today. My personal convictions remain firm. What has changed with age is my certainty that “doing the right thing” (as understood at a particular moment of history) inevitably leads to the results for which one hoped. What anthropology and other social sciences need today (Are you listening, economists?) is a large dose of humility tossed back with a chaser of ironic sensibility. And we all need the willingness to revise our views in response to the lessons of history. For additional information on the impact of evangelical missions on the Awajún written from the perspective of committed Christians, readers may want to track down a copy of Mildred Larson and Lois Dodds, Treasure in Clay Pots: An Amazon People on the Wheel of Change (1985) as well as scholarly papers by Robert J. Priest, including this one. Sections of the Bible translated into Awajún can be found online in various locations, including here. It’s worth noting that David Stoll followed up his book on SIL with Is Latin America Turning Protestant?, a work that revolutionized anthropological thinking about the direction and significance of Protestant conversion in Latin America. The following excerpt from Upriver brings together several of the book’s key themes and narrative strategies: (1) close-in description of an emotionally charged event; (2) my attempt to unpack the complex interweaving of grief, loyalty, rage, and suspicion that characterized many important events; and (3) the difficulty of separating any one of these events from the history that preceded it, including previous deaths that were either overt revenge homicides or illness-related deaths thought to be caused by hidden sorcerers. Even a hundred yards short of the settlement the sounds of grief were unmistakable: the keening of dozens of women punctuated by shouts and wailing from men. The tumult failed to convey fully the intense anguish visible in and around the dead man’s house. Adults and children milled about outside, some peering inside through gaps in the palm-wood slats. Inside the house, which was divided in half by a partition, fifteen people paced back and forth, the women weeping or screaming, the men talking in loud voices about their sadness and their willingness to avenge the death if it was shown to be the result of sorcery. The body lay on a sleeping platform in the second room, covered by rags and scraps of blankets. Only the lifeless face was visible, flanked by two burning candles. A copy of the Awajún translation of the New Testament, open to one of the color illustrations, rested on the blankets. Mourning women surrounded the body. One climbed on the platform and kissed Héctor’s face, keening in a high-pitched wail. Men walked in from the adjacent room and shouted, as if to the dead man. Approaching the door, we saw a sudden scramble as a female mourner tried to run outside. “She wants to kill herself!” someone shouted. A man grabbed the woman by the hair before she could slip away. She kicked, struggled, and screamed frantically. The most stricken women, including the dead man’s widow and sister, were shadowed by male guardians. Once or twice these women made sudden dashes toward the edge of the settlement, but they were dragged back before they could harm themselves. The suicidal behavior was more than ritual drama: family histories included many cases of women who had committed suicide in the throes of extreme grief. Outside, visitors continued to arrive from other communities. Mishít, alone with Héctor’s body, fanned his face while moaning, “My little brother, my little brother.” Late in the morning there was a flurry of activity around another house in response to a rumor that Héctor’s widow had tried to hang herself there. This proved untrue. A more credible story was that a grieving relative had attacked her for failing to take care of him properly. Others intervened to stop the assault, including a pregnant woman who took a blow to the stomach. The dead man’s relatives debated how to bury him. In the past, adults were often interred in their houses, which were then abandoned and allowed to collapse on top of the grave. It was said that the corpse of a kakájam, a senior man whose success as a killer identified him as a vision-bearer, was left seated upright on his wooden stool, lashed to a house post. Young vision-seekers who could overcome their fear of the dead and endure the stench of a rotting corpse would spend a watchful night in the house in expectation that the deceased’s vision might pass to them. Resettlement in tightly clustered villages made such customs impractical. In the absence of other options, Úwek, the dead man’s uncle, recruited some youths to help him carve a rough coffin from a trunk of balsa wood. Where it would finally rest was a matter to be resolved later. Within a day, information about Héctor’s medical history trickled into Alto Naranjillo. Some stories described the death as a sudden, catastrophic affair. A more informed version came from a bilingual paramedic, the only indigenous health care worker in the region. She had treated Héctor for chronic dysentery for months. He recovered from a previous acute episode but was showing signs of malnutrition. When the second attack came, she sent an emergency request to the Rioja hospital for medicine to control Héctor’s vomiting. What arrived instead was two ampules of a pharmaceutical used to treat rheumatism. Héctor’s death was tailor-made for accusations of sorcery, but his status as an innocent victim was complicated by the recent murder of the accused teenage sorcerer from the Río Potro. Héctor, too, had been named as an accomplice to the alleged sorcerer, which made him a target. He managed to elude a posse of would-be killers after being tipped off by relatives that an assassination plot was afoot. When the other accused sorcery culprit was murdered a day or two later, interest in killing Héctor seemed to have waned . . . . The convoluted stories associated with Héctor’s final months defied efforts to make sense of his death. Was he killed by a sorcerer from the Río Potro region, perhaps to avenge the death of the young man who had been murdered earlier that year? Or was the sorcery a local matter engineered by one of the men involved in the failed attempt to assassinate him? There were wheels within wheels of grief, mistrust, divided loyalties, and simmering grudges. They overwhelmed people’s capacity to assign blame or settle on a compelling explanation. In the end, perhaps the maze of conflicting narratives was more consoling than a banal fact: that the immediate cause of Héctor’s death was a pharmacist’s clerical error. One of the biggest challenges of writing Upriver was finding a way to talk about the history of Awajún interpersonal violence and warfare without falling into the rhetorical traps that afflict contemporary debates about tribal societies. Tribal violence is an intensely polarizing topic among anthropologists, a situation famously expressed in the nasty point/ counterpoint over Napoleon Chagnon’s books on the Yanomami people of Brazil and Venezuela. Others have leveled similar criticism at the work of Jared Diamond. I had hoped, perhaps naively, to stay out of this crossfire. 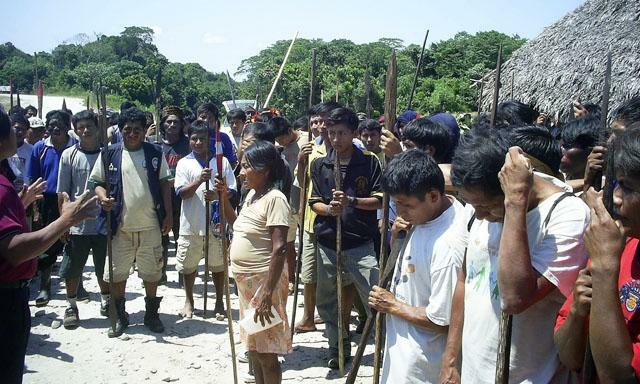 Anthropologists influenced by sociobiology and evolutionary psychology often accept tribal violence as an intrinsic or at least widely distributed aspect of non-state societies. Some focus on the selective reproductive advantage allegedly conferred on violent men in such societies (assuming that they aren’t killed first by their ever-widening circle of enemies!). Anthropologists committed to this position are likely to foreground high levels of interpersonal violence and to accept uncritically the notion that it is ubiquitous. Many, perhaps even most, tribal peoples found to have high levels of conflict-related mortality are essentially victims of expansionist colonial states. This argument is compellingly laid out in the SAR Press volume War in the Tribal Zone: Expanding States and Indigenous Warfare, edited by R. Brian Ferguson and the late Neil Whitehead, published in 1992. (Full disclosure: my friend Eduardo Fernández and I contributed a chapter to this book: PDF here.) The argument is that colonial expansion destabilizes local mechanisms for keeping the peace, provides access to more lethal weapons, introduces valuable trade items, such as steel tools, that foster competition between communities, and creates a situation in which tribal groups become pawns in a colonial game (e.g., via “ethnic soldiering”). Regardless of whether tribal peoples are warlike, their endangered status trumps public discussion of violence by anthropologists. In other words, today they are far more likely to be victims of violence than perpetrators of it. Making a big deal about the violent tendencies of a given tribal people is morally repugnant because (1) it gives states an excuse to persecute them and (2) it continues the colonialist tradition of “othering” peoples whose rights and cultural values continue to be trampled upon. Both of these arguments are marshaled by Stephen Corry in a take-down of Steven Pinker and his book The Better Angels of Our Nature. What makes the Awajún case different from many others is that the Awajún celebrate their history of feisty independence. To the extent that they are violent today, it is mostly in defense of their lands and way of life. And thus far, their resistance has provided some protection from a predatory state. Not enough, certainly, but some. The New York Times (4 January 2015) has just published an op-ed piece by the journalist and filmmaker Charles Lyons that describes a shockingly high rate of suicide among Guaraní people of the Brazilian state of Mato Grosso do Sul. Lyons and the experts that he consults blame the suicides on the Guaraní’s removal from their traditional territories as well as the emotional despair arising when indigenous peoples are forced to straddle two cultures, one scorned by the national society and another to which they are granted only partial membership thanks to persistent discrimination. This pattern, Lyons notes, is found among the countless indigenous peoples who have been forced to deal with colonial dispossession. This argument is compelling for the peoples mentioned in the essay, although it’s worth noting that there are a fair number of indigenous peoples among whom suicide has a long history that cannot be blamed entirely on the effects of colonialism. 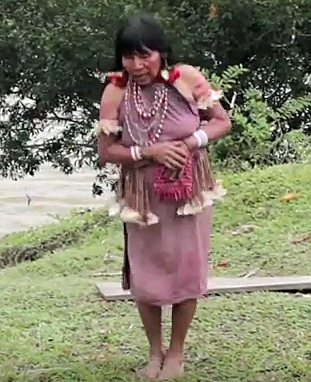 The Awajún of northern Peru represent one such case. References to frequent suicide by Awajún women can be traced back to early twentieth-century sources. This doesn’t, of course, entirely rule out colonialism as a factor, since the Awajún had been in sporadic contact with people of European descent since the sixteenth century. But the distinctive pattern of Awajún suicide, which is vastly more common among young women and, to a more limited extent, young men than among others in the society, suggests that internal cultural factors help to shape the practice’s epidemiology. As I explain in considerable detail in Upriver, the prevalence of female suicide among the Awajún with whom I lived in the 1970s and -80s took me entirely by surprise. Back in the U.S., I tracked down an excellent report on this phenomenon by the Norwegian anthropologist Henning Siverts as well as detailed records of specific suicides documented by Jeanne Grover, a missionary linguist with the Summer Institute of Linguistics. Mourning women surrounded the body. One climbed on the platform and kissed her dead brother’s face, keening in a high-pitched wail . . . We saw a sudden scramble as a female mourner tried to run outside. “She wants to kill herself!” someone shouted. A man grabbed the woman by the hair before she could slip away. She kicked, struggled, and screamed frantically . . . The suicidal behavior was more than ritual drama: family histories included many cases of women who had committed suicide in the throes of extreme grief (From Upriver, p. 147). In 1984 I combined case-study material from Siverts and Grover with my own observations and presented an interpretation of what appeared to be one of the world’s highest rates of indigenous suicide at a session of the International Congress of Americanists in Manchester, England. The response of the audience shocked me: I was challenged not for the plausibility of my interpretation, which I was prepared to debate, but for the accuracy of my figures. “There’s no way these people could be killing themselves that often,” one audience member remarked. “They must be disguising murders as suicides.” No matter that many of the case studies had been recorded by others from different parts of the Awajún homeland. Eventually my analysis found its way into print. My work then moved in other directions, but the subject of Awajún suicide, especially by women, was researched in great depth by Astrid Bant and more recently figured prominently in a 2012 study of indigenous Amazonian suicide sponsored by UNESCO (available in Spanish). The Awajún themselves recognize this as a major social problem in their society and are doing what they can to deal with it. Although most observers of this sad and disturbing phenomenon recognize that rapid social change is a contributing factor, there is little question that traditional values sometimes bear on the matter as well—a humbling reminder that not every social ill of indigenous societies can be blamed on European colonialism (even if most can).